Gut health is a topic that's getting a lot of press lately and I think it’s about time. It's an understatement to say the importance of gut health is undervalued. The digestive system is where nutrients are absorbed and is the basis of a healthy body. If your digestive system is inefficient or your gut environment isn’t balanced, you might not get the most nutritional value from your food. A healthy gut reacts positively to good nutrition and is also the result of good nutrition. Refined sugar, artificial ingredients, and artificial coloring offer no nutrition and, even worse, can upset gut balance. Aloe vera, on the other hand, is a nutrient-dense superfood that soothes, nourishes, and promotes detoxification and normal bowel movements. 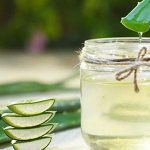 How Does Aloe Vera Aid Digestion? Aloe vera offers over 70 different nutrients, including calcium, chromium, copper, selenium, magnesium, manganese, potassium, sodium, and zinc. Aloe contains antioxidant vitamins A (beta-carotene), C, and E. It’s a great source of vitamin B12, folic acid, and choline. Aloe vera also boosts digestion and nutrient absorption. Aloe contains eight important enzymes, two of which specifically support digestion. Amylase breaks down carbohydrates, starches, and sugars, and lipase helps digest fat. 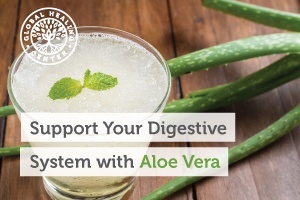 Finally, aloe vera promotes a healthy gut environment by supporting the probiotic colonies that live there. Probiotics are living organisms and require nutrients called prebiotics. Aloe is a great source of prebiotics that feed good gut bacteria. Research indicates that aloe vera promotes balanced pH levels throughout the body. This helps reduce redness, swelling, and irritation. You can find aloe vera juice in most health food stores and even the organic section of most grocery stores. Look for a juice produced solely from inner leaf aloe. 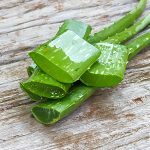 Avoid whole-leaf varieties as they likely contain aloin or aloe latex which can produce a harsh, laxative effect. 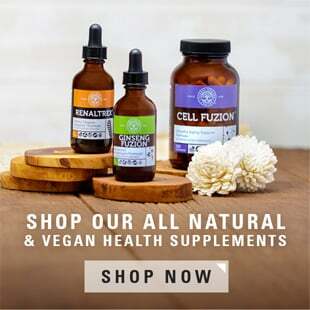 An encapsulated supplement can be a very convenient option. Capsules are easy to swallow and usually concentrated into a small serving – no juice to choke down. I recommend Aloe Fuzion™. Aloe Fuzion is made from 100% organic inner-leaf aloe vera. 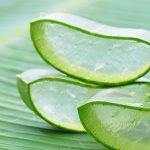 It’s aloin-free and has the highest amount of acemannan available anywhere (acemannan is the polysaccharide in aloe that supports digestive health). The product is new but we’ve already gotten a lot of great feedback. McKeith, Gillian. 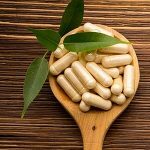 Dr. Gillian McKeith's Living Food for Health: 12 Natural Superfoods to Transform Your Health. North Bergen, NJ: Basic Health Publications, 2005. Print. Yun JM1, Singh S, Jialal R, Rockwood J, Jialal I, Devaraj S. A randomized placebo-controlled crossover trial of aloe vera on bioavailability of vitamins C and B(12), blood glucose, and lipid profile in healthy human subjects. J Diet Suppl. 2010 Jun;7(2):145-53. doi: 10.3109/19390211003781693. Surjushe, Amar, Resham Vasani, and D G Saple. ALOE VERA: A SHORT REVIEW. Indian Journal of Dermatology 53.4 (2008): 163–166. PMC. Web. 25 Feb. 2016. Gullón B1, Gullón P, Tavaria F, Alonso JL, Pintado M. In vitro assessment of the prebiotic potential of Aloe vera mucilage and its impact on the human microbiota. Food Funct. 2015 Feb;6(2):525-31. doi: 10.1039/c4fo00857j. Coats, Bill C., and Robert Ahola. 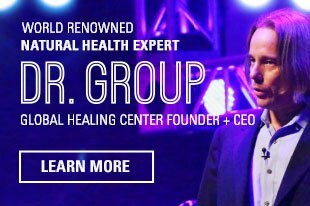 Aloe Vera: The New Millennium: The Future of Wellness in the 21st Century. New York: IUniverse, 2003. Print. Eamlamnam K1, Patumraj S, Visedopas N, Thong-Ngam D. Effects of Aloe vera and sucralfate on gastric microcirculatory changes, cytokine levels and gastric ulcer healing in rats. World J Gastroenterol. 2006 Apr 7;12(13):2034-9.